I’m often asked about how I developed the confidence and self-belief to achieve the things I’ve done. Unbeknown to me, much of this was being developed whilst I was a teenager, and a huge chunk of it through the expeditions I completed with the DofE. I believe that it’s the support, advice and encouragement from those around you that can make all the difference. I can still remember the comments and conversations I had with teachers and youth leaders that inspired me and made me sit up and think ‘I can do that’ or ‘I’ll have a go at that’. I felt that they believed in me and I in turn believed in myself. Expeditions have the potential to make an enormously positive impact on young people, developing skills, a sense of responsibility and a positive mind-set that will last a life-time. To inspire the next generation it helps to soak up a bit of inspiration ourselves. That’s exactly what ExpedFest Cymru aims to do. 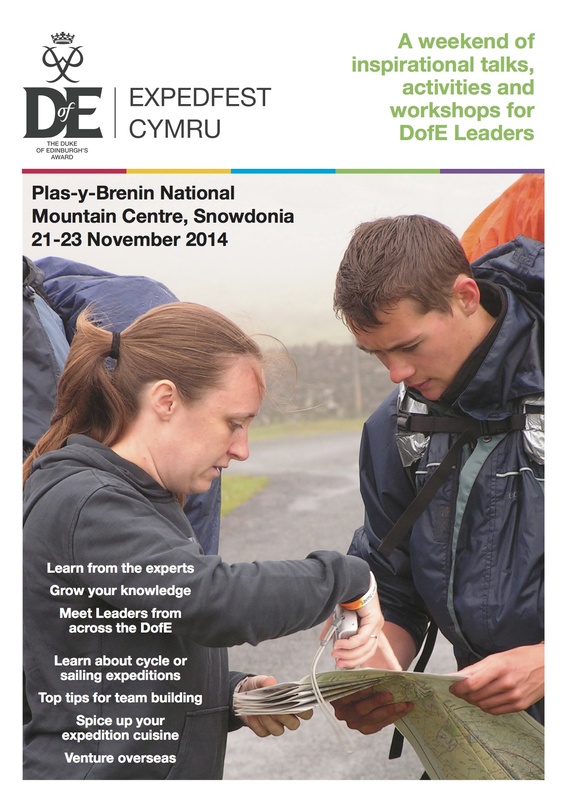 If you’re a DofE expedition leader looking to improve your skills and inspire your participants then come along to ExpedFest Cymru taking place at Plas-y-Brenin on 21-23 November 2014. ExpedFest Cymru is a unique opportunity for new and existing DofE Leaders and volunteers to learn from the experts, gain new skills and share experiences. will be a weekend of workshops and inspiration for DofE Leaders.